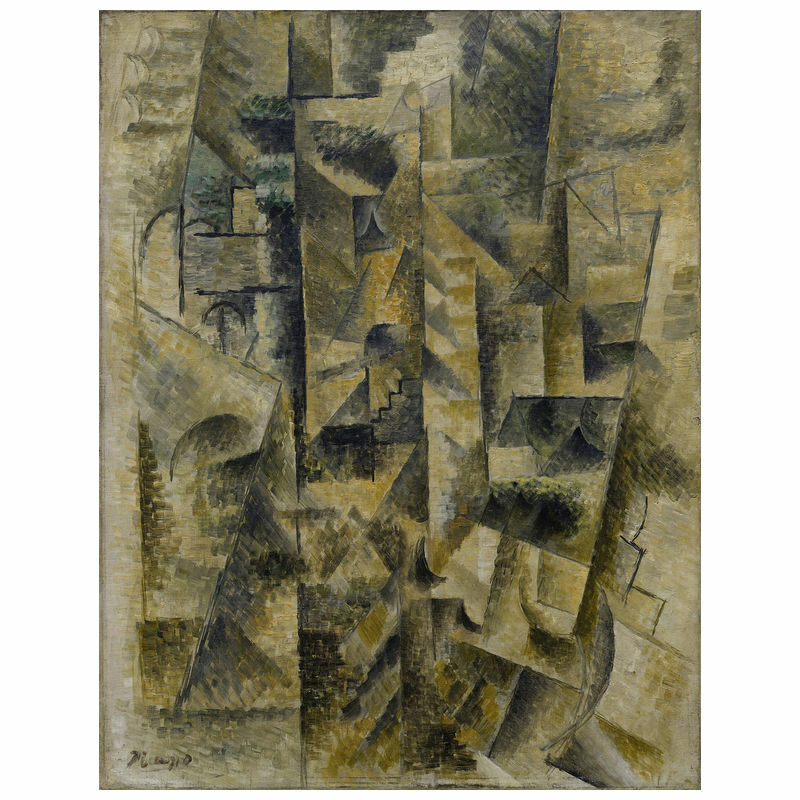 Picasso first encountered African art at the Ethnographic Museum exhibition in Trocadero in 1907. 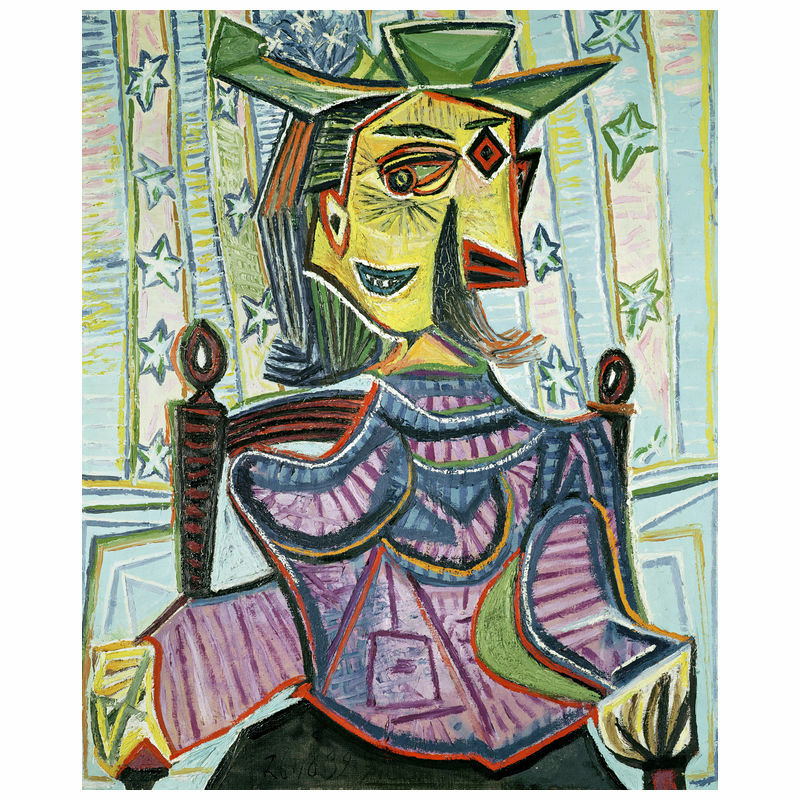 Here, primitive idols, statues, and masks embodied the mighty forces of nature from which primitive man did not distance himself. 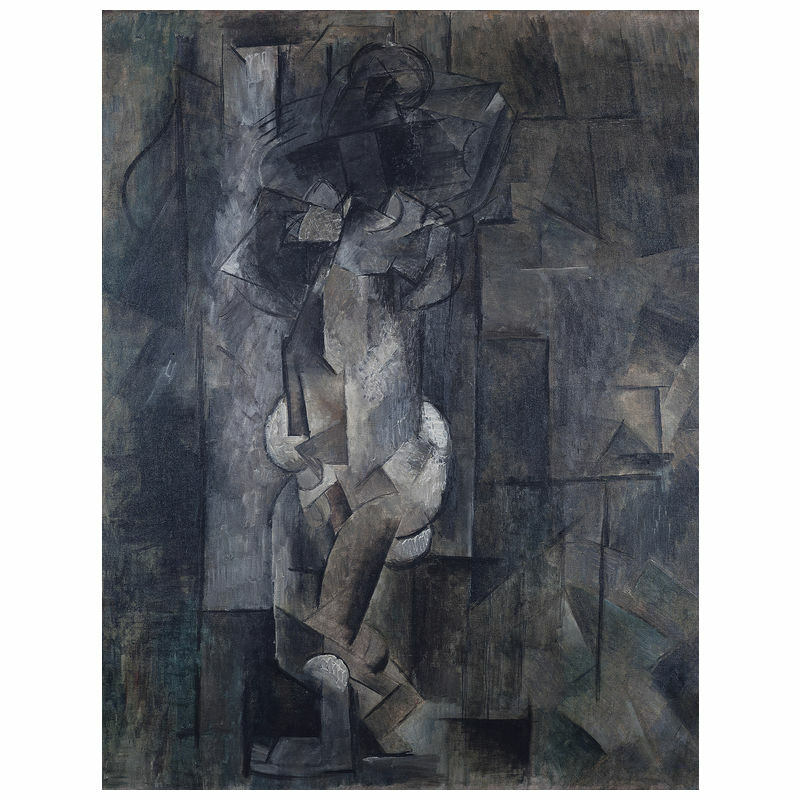 Instead of being a household decoration, this art served as a type of magic for the ancient people; taming the incomprehensible and hostile spirits who controlled life. 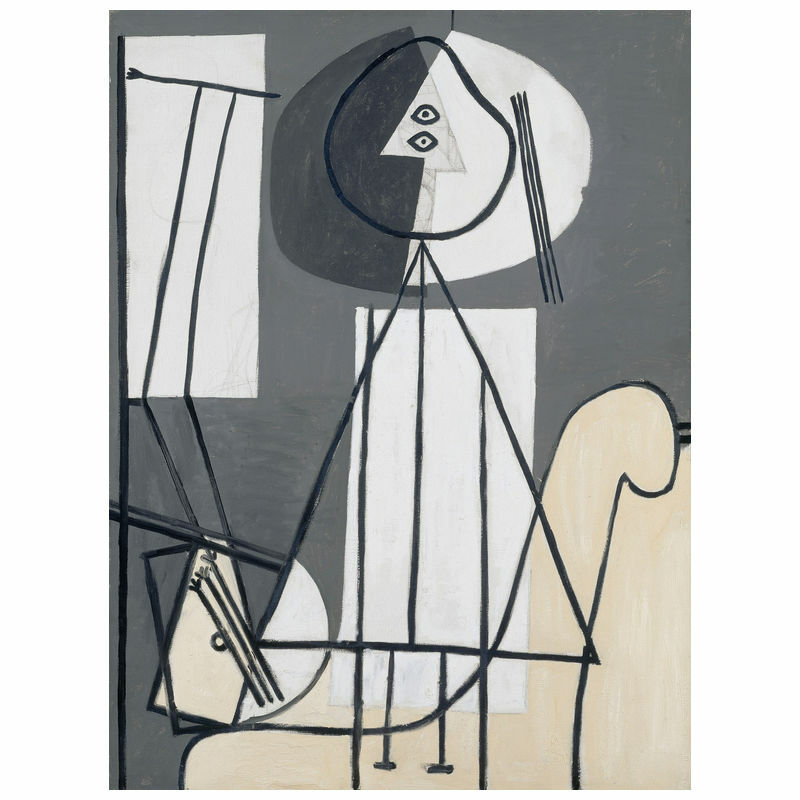 Inspired, Picasso strived to convey the powerful message implicit from this art and transform it into his own. 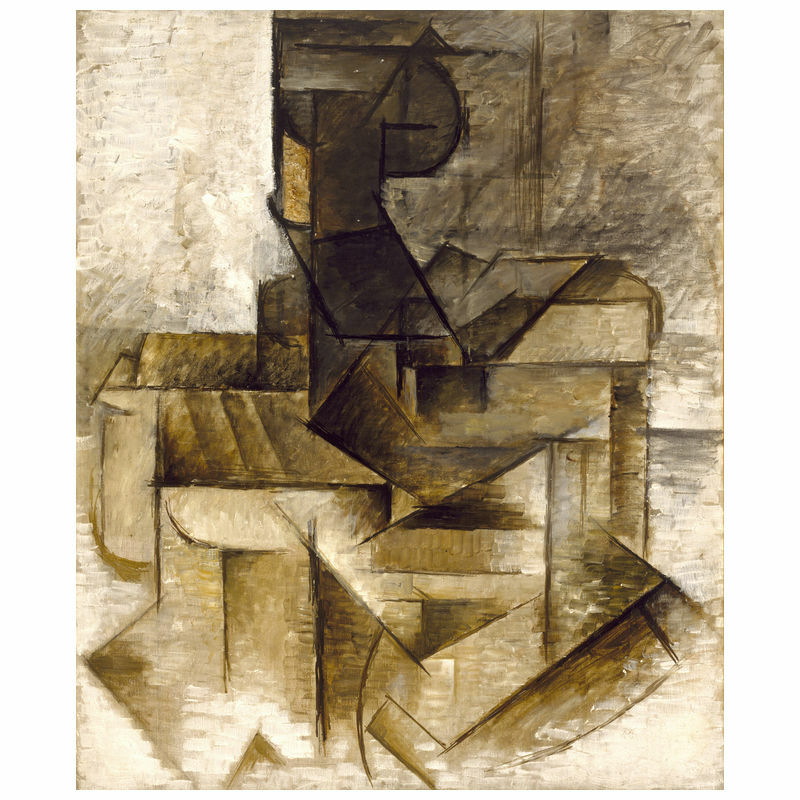 [read more=”Read More” less=”Read Less”]Through monumentalizing and simplifying shapes, Picasso’s figures began to look like wooden or stone idols; their faces resembling ritual masks. 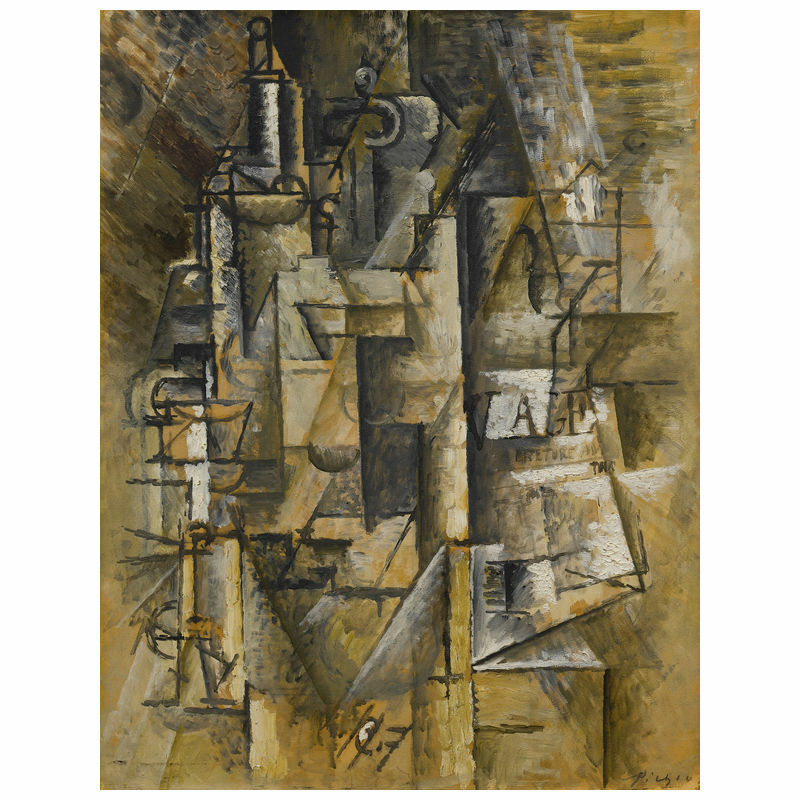 Additionally, the artist experimented with the use of space within his works. 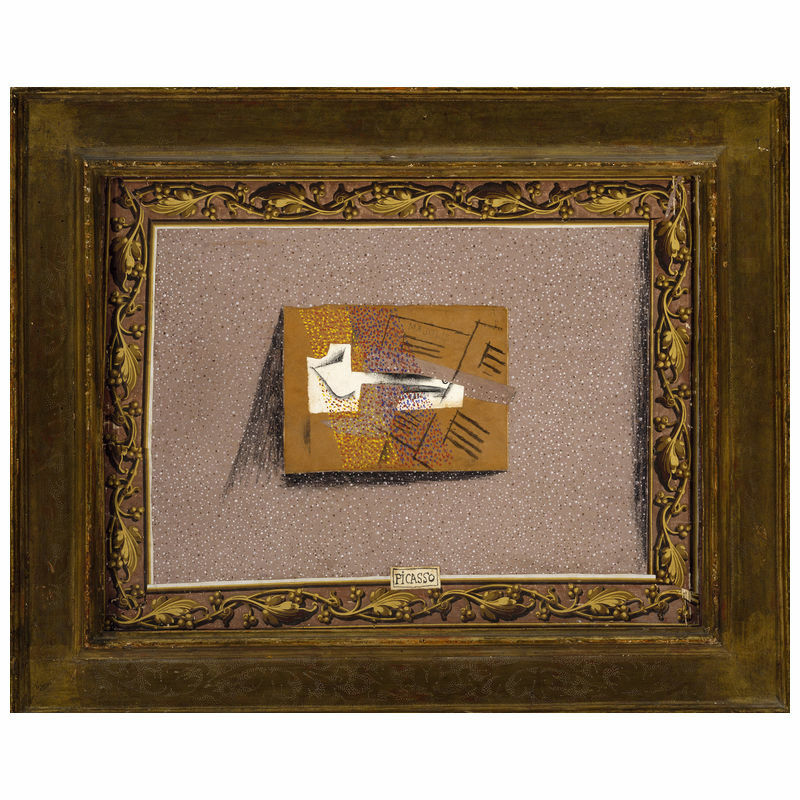 The initial aim was to create an illusion of three-dimensional space populated by deformed beings on the two-dimensional plane of the canvas. 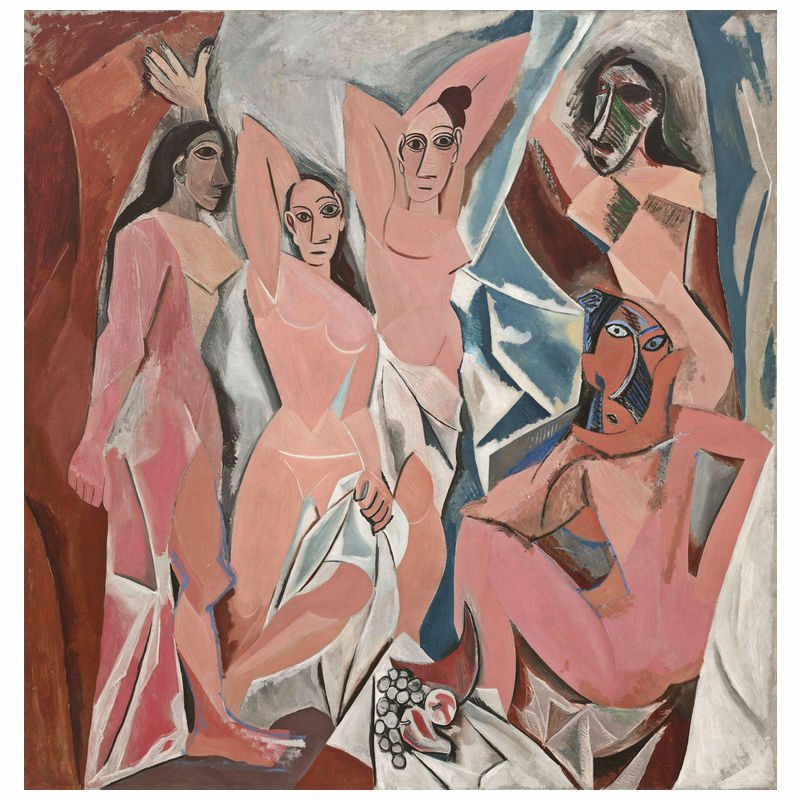 Thus, distorted characters with unnerving African masks replacing their faces consumed Picasso’s works of art produced from 1907-1909; most famously, Les Demoiselles d’Avignon (1907). 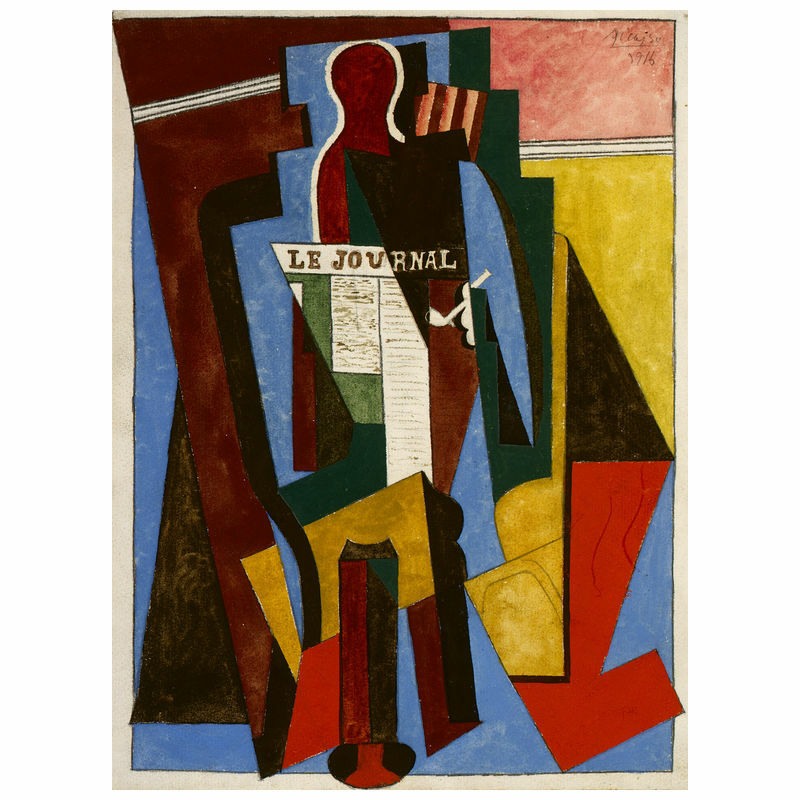 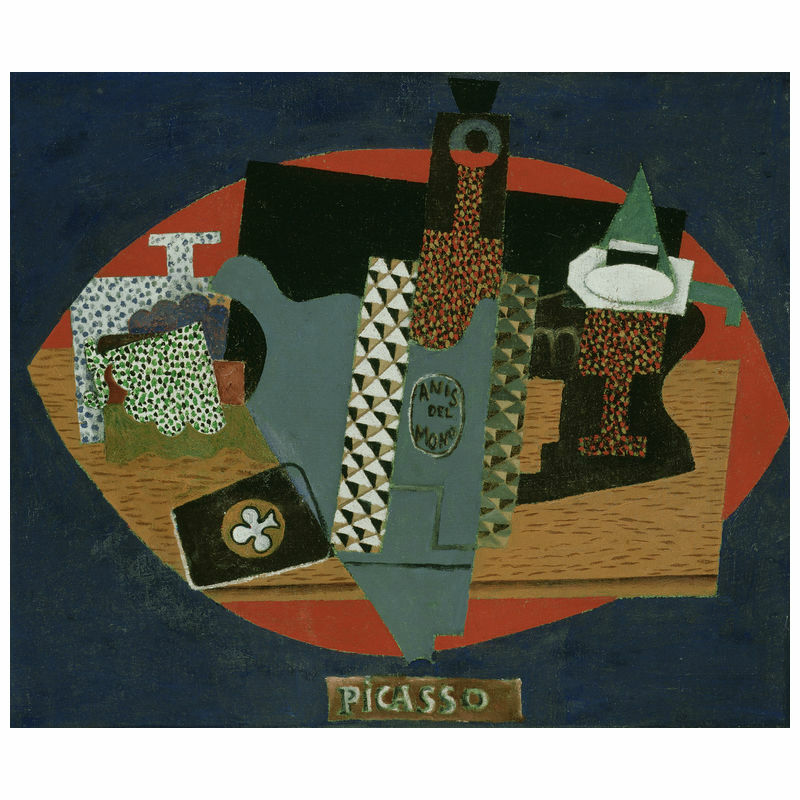 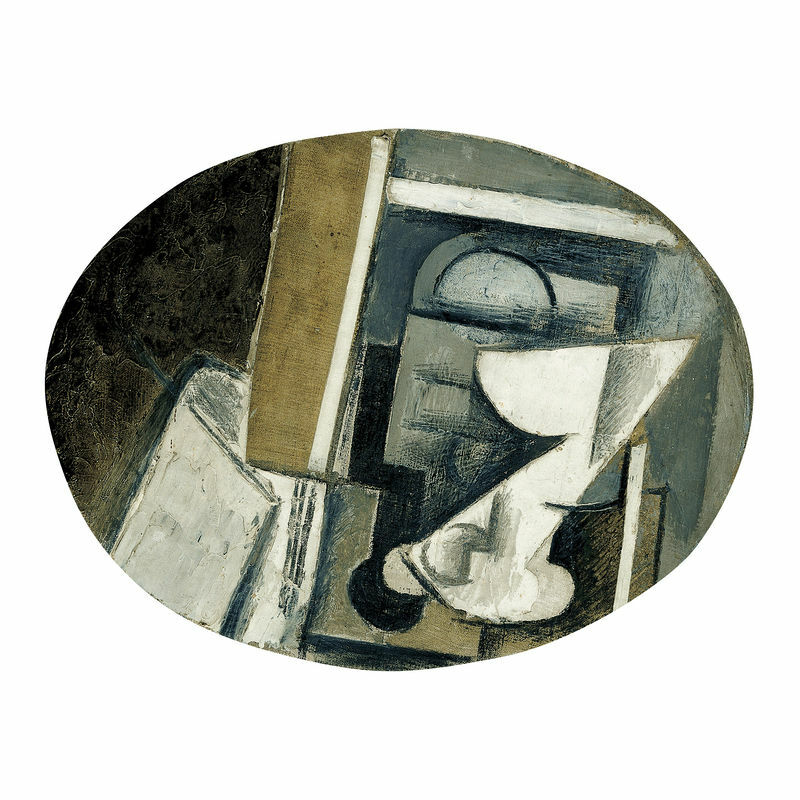 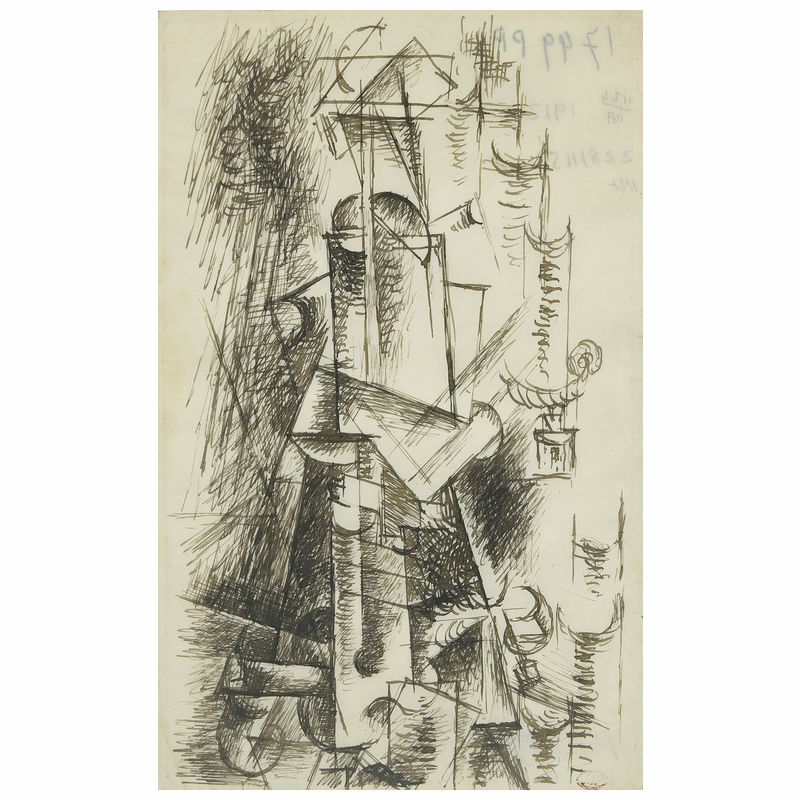 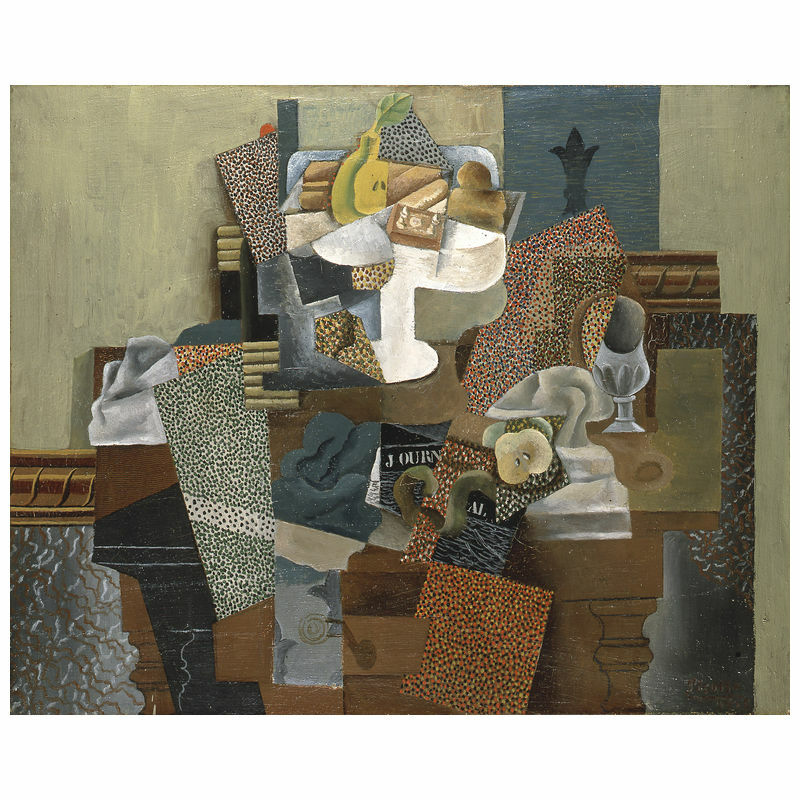 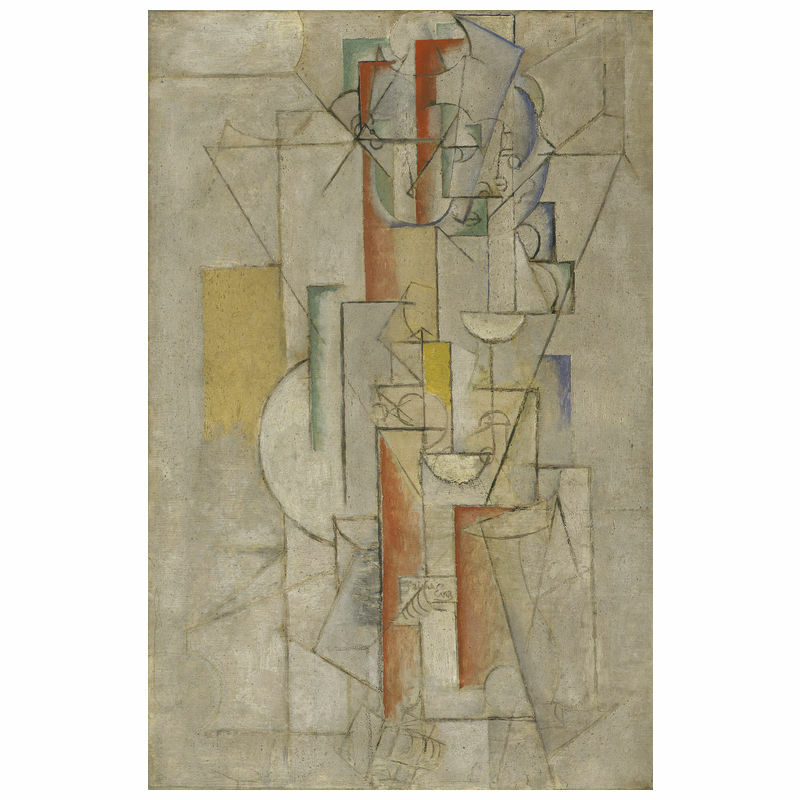 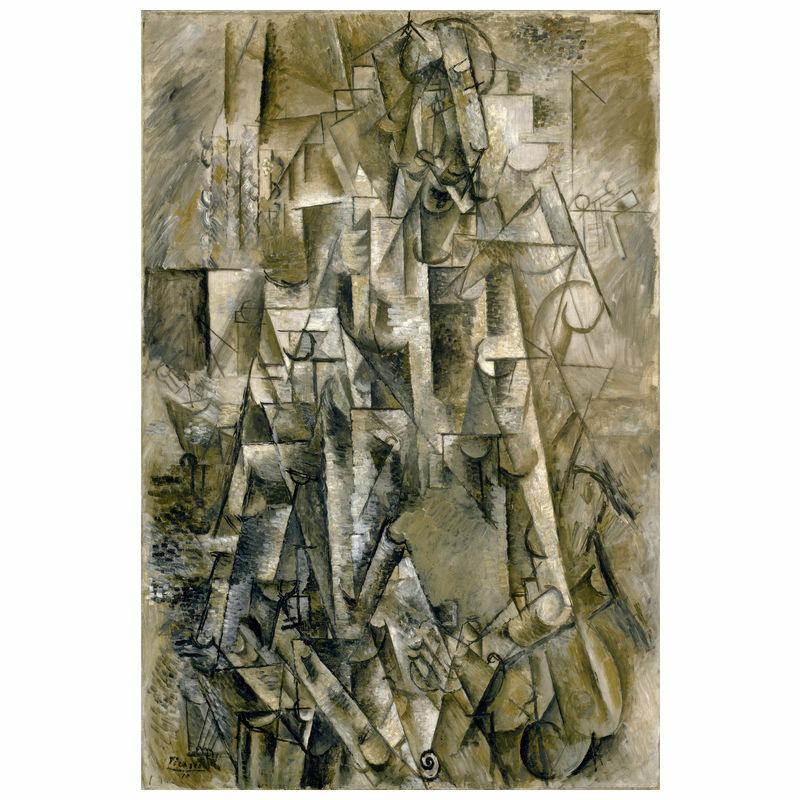 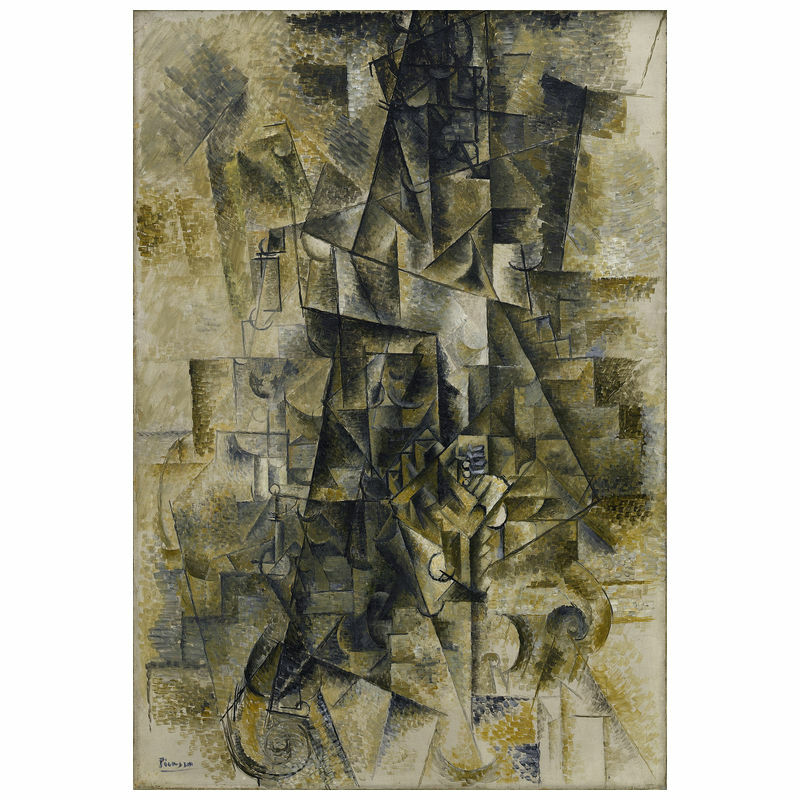 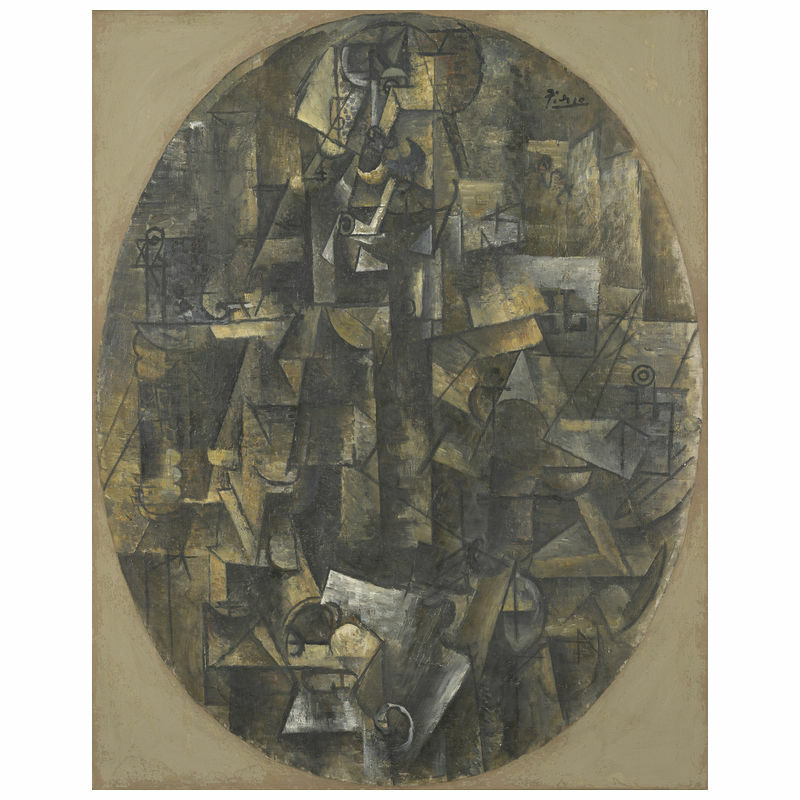 Picasso’s Analytic Cubism period was about how to see an object or figure rather than what the artist was looking at. 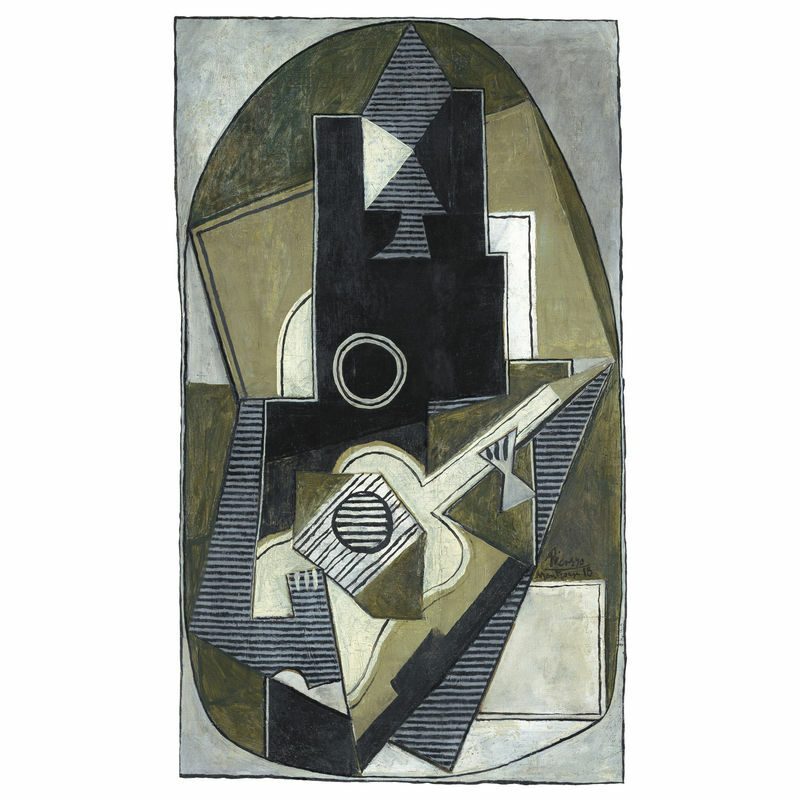 This is displayed through the color in the works of this period, consisting of a muted color palette of monochromatic browns, grays, and blacks. 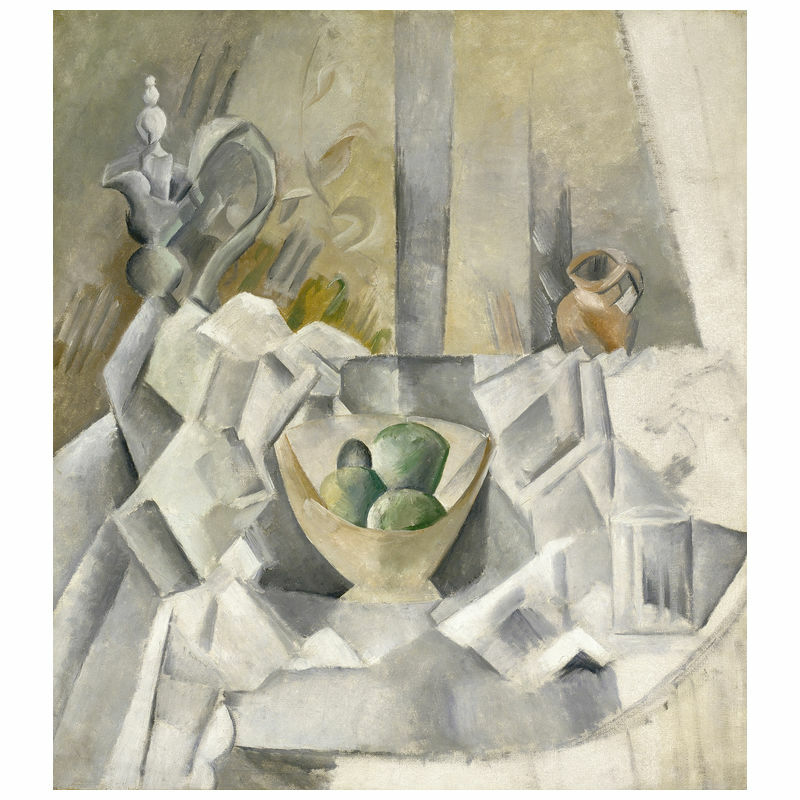 Subject wise, the artist chose to convey relatively unemotional subject matters such as still lives and landscapes, underlining the dimensions and revealing the sculpturesque essence of the object. 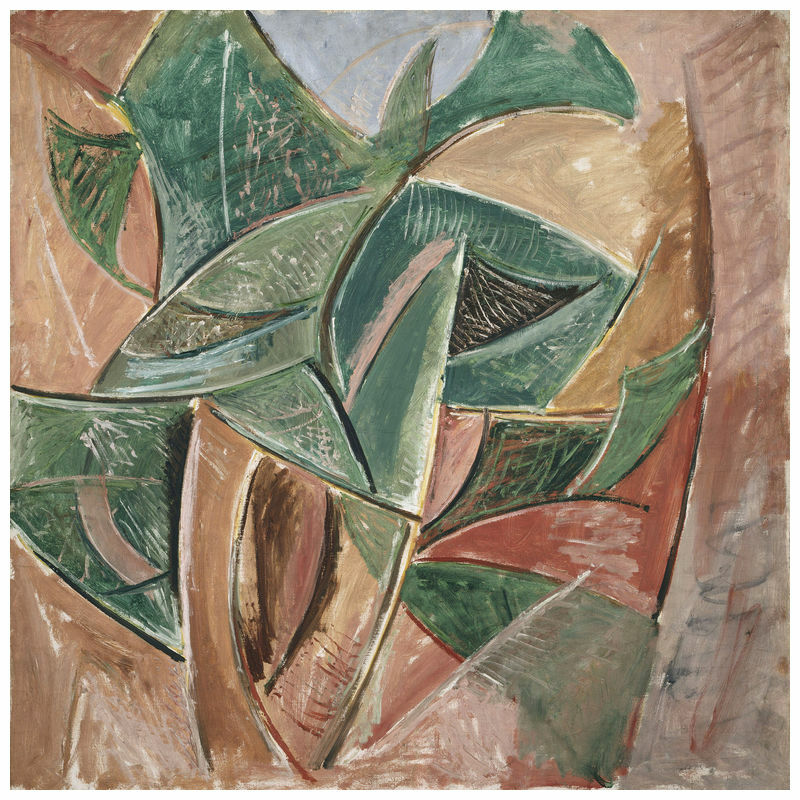 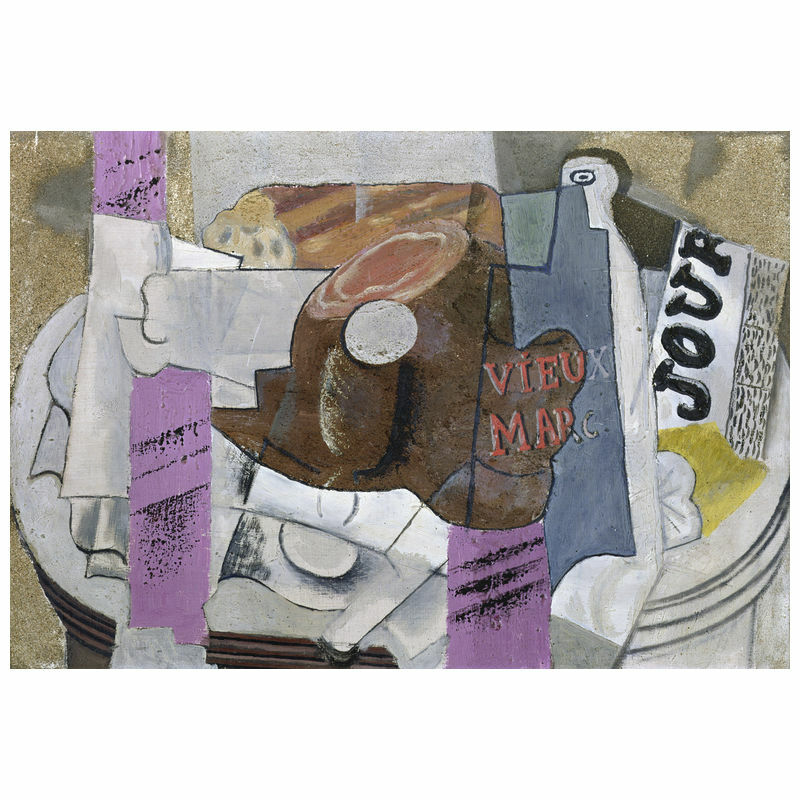 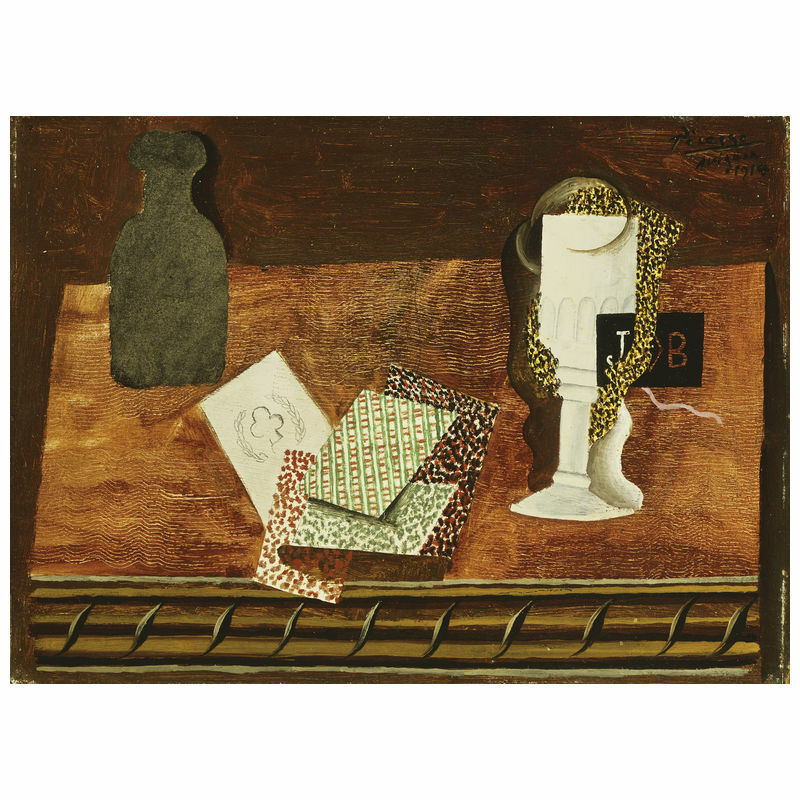 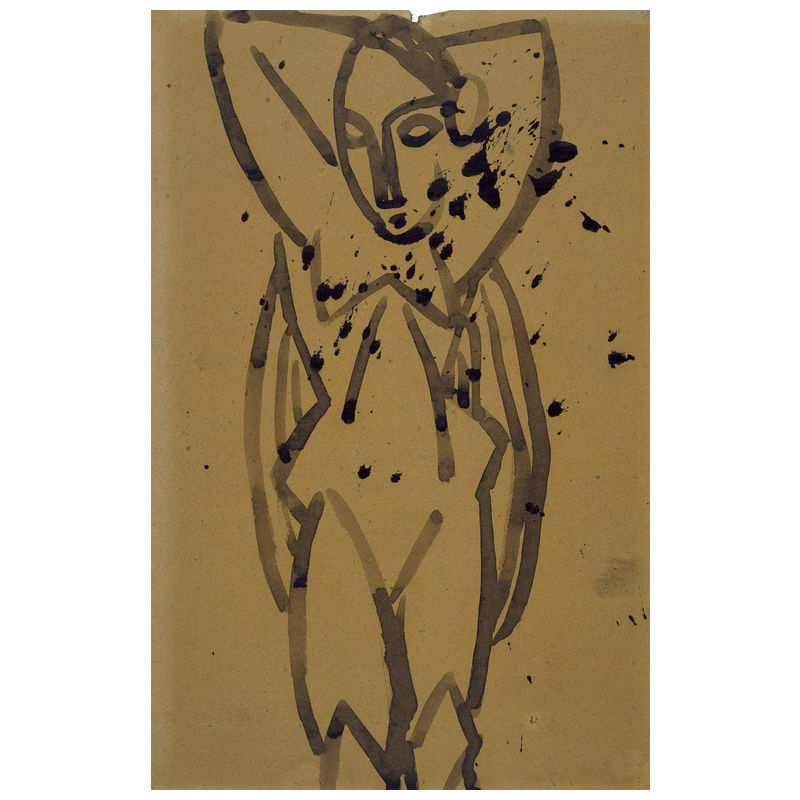 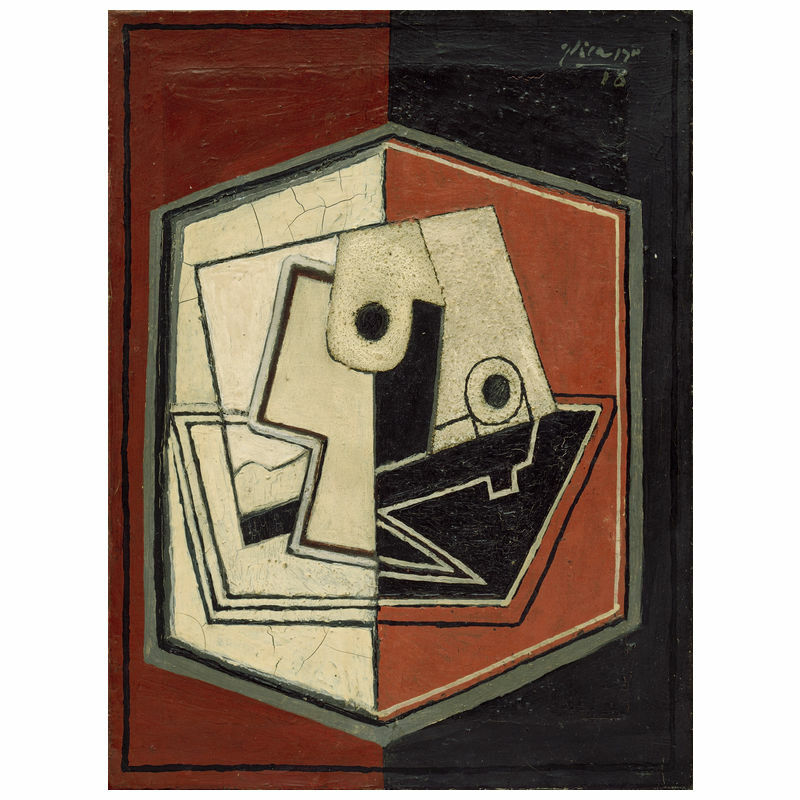 An emphasis on open figuration and abstraction was placed upon his subsequent works of art from this period, not yet incorporating elements of texture and collage.